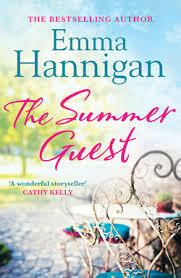 I will be very honest I have never read any of Emma Hannigan Books it was by chance I spotted it on the best sellers shelf at my local library and thought firstly what an amazing cover and then I read the blurb and thought it sounded an amazing read. I certainly was not disappointed it was a very an outstanding read it was heart warming and dealt with quite a few serious life issues. I partiucally loved Kathleen and would love her to be my surrogate grandma and Lexie’s mum I could of just of grabbed her from the pages of the book and punched her.